Celebrations gathering the whole family are rare, and people are paying special attention to their organization. Our team has experience with organizing birthdays, christenings, anniversaries, proms. The restaurant has 100 seats and the tables can be rearranged to accommodate up to 115 people without compromising the comfort of any of your guests. 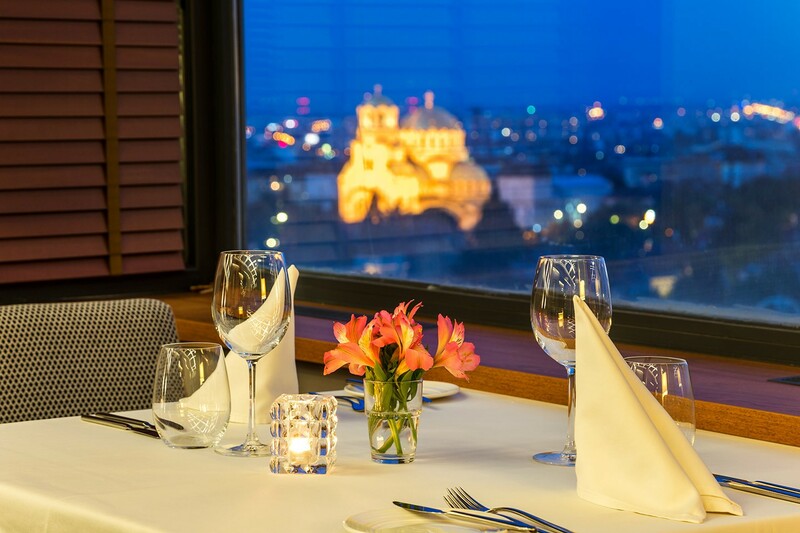 Our chefs prepare an author's menu with specialties, our team is in charge to provide you with perfect service and the view to Sofia and the mountain creates a special mood. It is important for you to celebrate your family events properly. We are glad to help you do it. Call us or check in to get details and look around the room.